Church Plants: We have a couple of new church plants that are starting up in and around the Twin Cities. One is a Kenyan group meeting in Champlin. They will be having their grand opening the last Sabbath of September. There is another congregation talking of starting a church plant south of the Twin Cities as well. More details will come as plans progress, but both of these plants are from a desire to get churches in more areas to share Jesus in their communities. 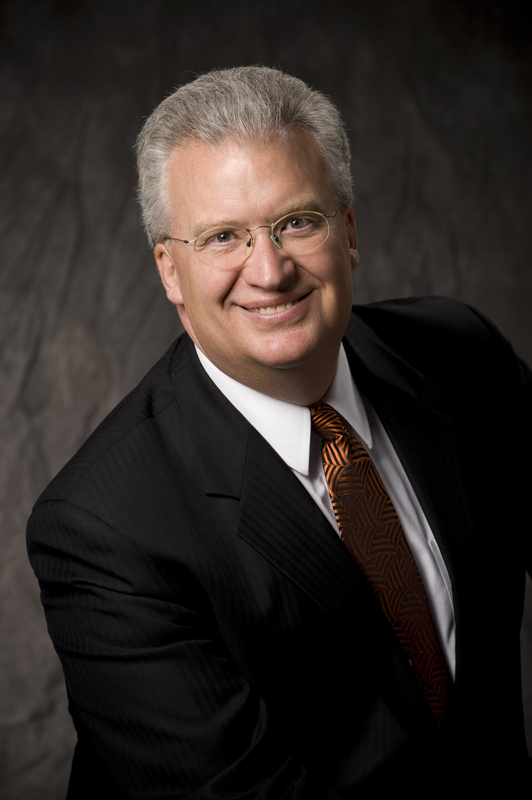 Evangelism: We are excited about Shawn Boonstra coming in to do a major Twin Cities evangelistic series in 2015. In preparation for this we already have seven major lay training programs scheduled to take place beforehand. We have also hired Karen Lewis to facilitate Bible Study Training around the Twin Cities. Each of our metro churches is going to hold an effort before Shawn’s meetings to feed interest into his. Please start praying now for these meetings. 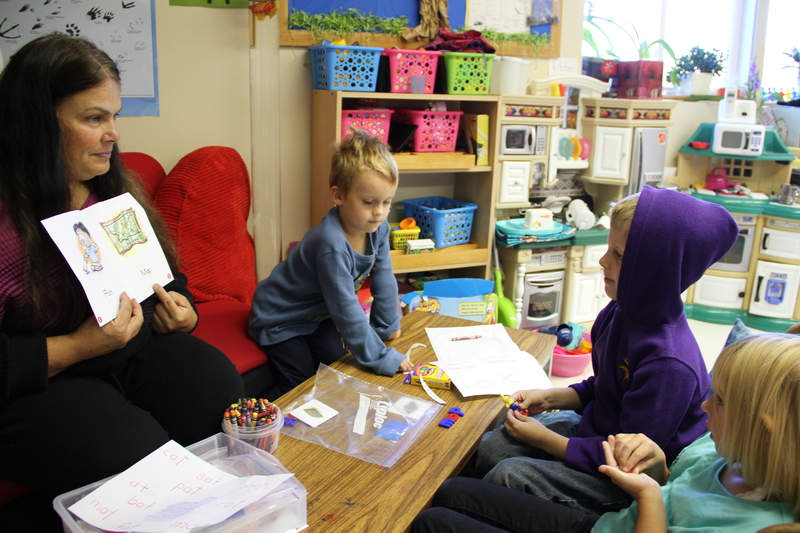 Maplewood Academy: Last year we started with 107 students and we had 31 graduates at the end of the year. We only had 11 eighth-graders graduating across our Conference that didn’t have a local K-10 school to go to. We were concerned about our enrollment at Maplewood. The good news is Maplewood started with 109 students this year, which is even better than we had last year. I praise God for what He is doing at Maplewood Academy. Please keep our young people and our staff on your prayer list. Elementary Schools: Great news. We reopened a school in Thief River Falls. They haven’t had a school operating there for many years, and they are off to a great start. We have had a 24% increase in our elementary schools across the Conference this year. This is unheard of today; so again, we praise God. 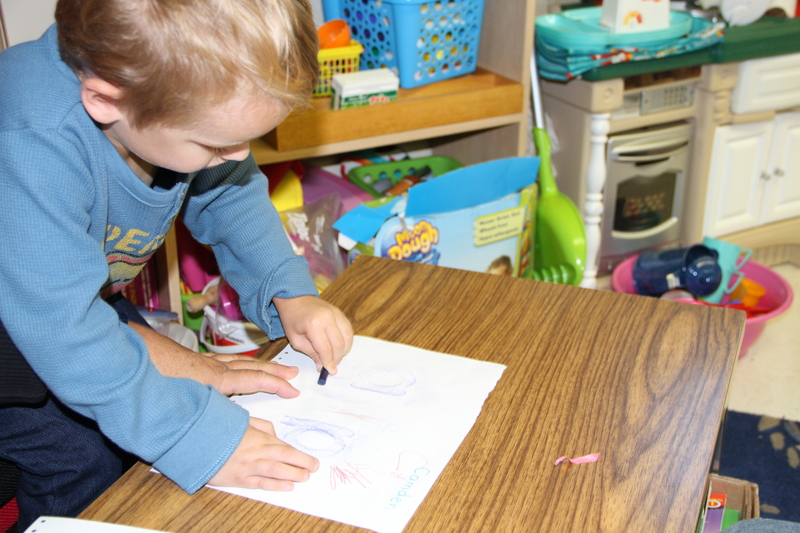 Seventh-day Adventist education is alive and well in Minnesota. North Star Camp: We rejoice that over 400 campers attended our 2013 summer camp, and 125 young people asked to be baptized. In regard to the renovation/building project, we are continuing with Phase II, and the Lord has steadily provided the money in advance to move forward. Tithe: One other piece of good news I want to share is in regard to our tithe results through August. The report shows a 4.57% increase so far compared to this time last year. The Lord is greatly blessing! So often we hear bad news and everything seems negative, but Brothers and Sisters, God is blessing and we give Him the credit and praise for the great things He is doing. Thank you for your faithfulness and your prayers. 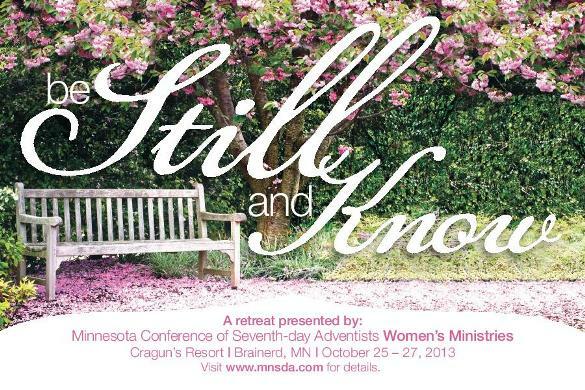 The Women’s Ministries Annual Retreat will take place at Cragun’s Resort in Brainerd on the weekend of October 25-27, 2013. The theme this year is ‘Be Still and Know’. If you are longing for some peace and a break from the hectic pace of life, this is the weekend for you. Keynote speaker, Ruth Williams Morris PhD, will be leading out this year, and there are some amazing breakout sessions planned as well. Please plan to join us! 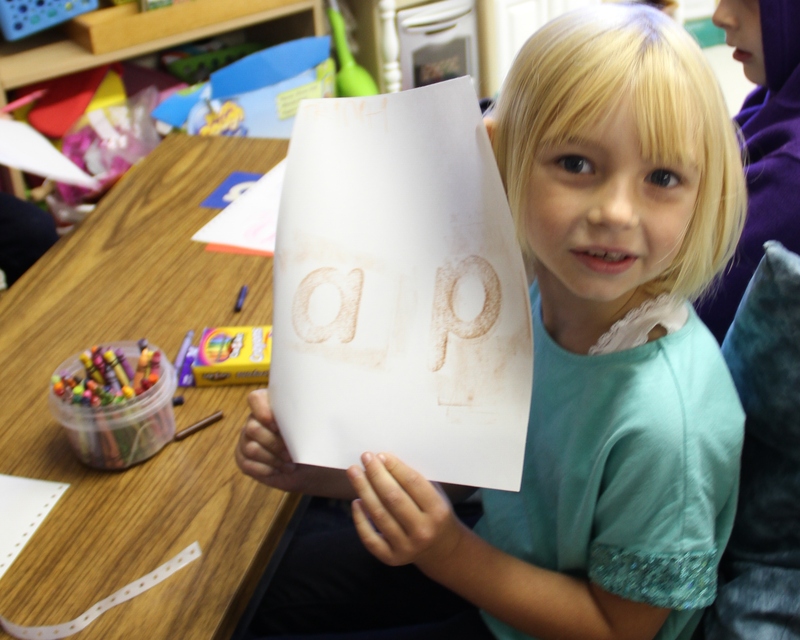 Over the course of the summer, Stone Ridge SDA Christian School has received several donations from private sources, business and foundations, as well as from the City of Duluth. These donations have come in the form of gift cards, products and funds. The Kindergarten Class invested in the purchase of the “Stairway to Reading” curriculum which has enhanced their learning program with the funds made available to the school for that purpose. The school also received a donation of 68 strawberry plants resulting in a welcome addition to the Stone Ridge “Back to Eden Community Garden”. Each contact has given the teachers and students the chance to form a friendly relationship in the community and beyond, resulting in a touch point for further interaction, increasing the schools name recognition in the area and providing an opportunity to tell others what is happening here and about the God who makes all things possible at Stone Ridge. For the time you have, be grateful. For the trials and tears, be thankful. For inside of you, a structure is rising. what sin did to your soul. a speck of sand to a resplendent pearl. But trust that His mercy will make you better through pain. He will help you find joy and wipe away your earthly shame. Maplewood is the strangest high school that I have ever been to (No offense to all you Huskies!). At my former school, everyone arrived at 7:45 and had class until 3:00. 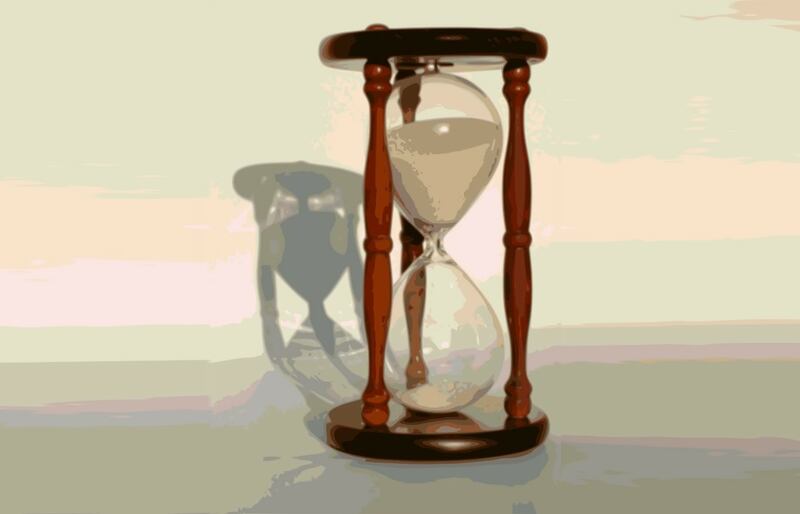 We lived by an airtight schedule with seven periods and three minutes of passing time in between. New kids were treated with cold indifference, and were usually left to flounder and figure things out on their own. There were cliques, and a defined line between the popular and unpopular kids. Most of the other students were Christian, but there wasn’t a single one who had ever heard of Seventh-day Adventism. Whenever I told anyone what my denomination was, I was usually asked, “Is that like some kind of a cult?” My friends were shocked when they found out that I had never eaten ribs or bacon. So far, I have been at Maplewood for less than a week, but the differences between the two schools are almost extreme. The schedules are so flexible, with breaks and free time in between periods. Instead of nagging teachers prowling the halls to warn the students to hurry up, everyone here is in charge of being on time for themselves. As far as dealing with new kids, I’ve never seen a school that was more accepting. Everyone is so friendly and willing to help me figure things out. The biggest and most important difference to me is the sense of community that exists at Maplewood. The students are much closer here than at any other school because of how much time we all spend together – every hour of every single day. Almost everyone is Adventist – we all share the same beliefs and I never have to defend myself from closed-minded people. One of my favorite aspects of Maplewood is the dorm life. It’s like having a sleepover every night. I’ve been here for less than a week, but I can already see how close these girls get to each other. It’s so amazing to always have somebody (or several somebodies) to talk to or laugh with about anything. This week has been so much fun, and I am looking forward to the rest of the school year.